This lovely stone property, constructed out of Lamorna granite, is situated at the top of Boslandew Hill in Paul which is on the outskirts of the quaint fishing hamlet of Mousehole, famed for its Christmas lights and once described by Dylan Thomas as “the loveliest village in England!” The secluded, mature, rear garden of Scaddon House gives a clear view of the local church tower. The property boasts various character features including a large stone fireplace. Scadden House is positioned within 100 metres of the local church which was rebuilt after the original was burnt by a group of Spaniards who came ashore in 1595 and also the Kings Arms traditional public house. Paul makes a perfect centre for exploring Penwith and guests find themselves within walking distance of Mousehole and a few miles away from Land's End, Penzance, St Ives, St Michael's Mount, The Minack Theatre and the gorgeous beaches of Porthcurno, and Whitesand Bay, Sennen. As such, this is a wonderfully central location to reach the surfing beaches that surround the Western tip of Cornwall. There are plenty of coastal walks and as Scadden House is dog-friendly the options to bring the extra family member on holiday are really tempting. Mousehole has a number of excellent gift shops, galleries and restaurants including the recommended 2 Fore Street Restaurant serving seafood and local produce. Ground floor: Enters into the dining room that has seating for 6 and a large character fireplace, one door leads into a galley kitchen which also has an exterior door into the enclosed rear garden, a second door leads into the lounge which has windows at one end and double French doors at the other again leading into the rear garden. Stairs from the dining room lead up to the first floor. 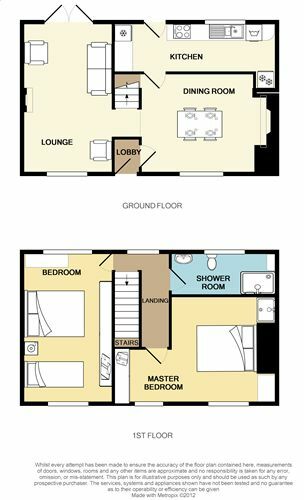 First floor: Landing at the top of the stairs with doors leading to; Master bedroom with 5' double bed and shower cubicle in one corner, main shower room with large power shower, second large bedroom with a 5' double bed and one 3' single bed. Exterior: There is limited off-road parking for one small car at the front with small courtyard garden. Enclosed, mature rear garden with views of the local church tower. Heating is via night storage heating. The kitchen is fully fitted with a range of units. There is an electric oven and hob, a microwave, toaster, kettle, fridge and separate freezer. There is a combined washing machine/tumble drier. The lounge area has a flatscreen digital Freeview TV & Blu Ray DVD player, CD & Radio. There is free WiFi at the property. There is an iron & ironing board. Electricity, heating, bed linen and towels are all included but you will need to provide your own beach towels. Up to 2 well behaved dogs will be permitted at a small additional charge of £25 per dog per week, although please remember that you cannot leave dogs unattended in the cottage alone. Regrettably no smoking is allowed. There is limited off road parking for one small car. Short breaks are during the quieter months of the year. Paul makes a perfect centre for exploring Penwith and guests find themselves within walking distance of Mousehole and a few miles away from Land's End, Penzance, St Ives, St Michael's Mount, The Minack Theatre and the gorgeous beaches of Porthcurno, and Whitesand Bay, Sennen. As such this is a wonderfully central location to reach the surfing beaches that surround the Western tip of Cornwall. The Mousehole Christmas lights are famous throughout Cornwall and are well worth visiting. You can even take a helicopter ride from Penzance to view the lights from the sky! Just offshore from the harbour is St Clement's Isle, a small group of rocks where an ancient hermit was said to have lived. A few hundred yards along the coast from the village is a huge cave, which is believed to give rise to the village’s unusual name. This is unlikely but the origin of the name is still a mystery. It is possible to walk west along the Coastal Path to Lamorna Cove, looking down on Tater Du Light on the way. To the east is Newlyn, the largest fishing port in the South West. Guest from King's Lynn stayed for 7 nights. Guest from Chippenham stayed for 5 nights. What a delightful stay in a warm comfy cottage with all the essentials. Location perfect for walking & exploring with everything we needed close by. Good pub next door with food, real ales & nice wine selection where we were made to feel very welcome. Laura the housekeeper was delightful too. Hoping to return later this year! Guest from Blandford Forum stayed for 5 nights. We all had a lovely stay here. It is a short walk down to Mousehole down a fairly steep hill. There is a parking space at the cottage but it is fairly tight, there was also a space outside that no one parked in. The garden is enclosed and can be accessed via a gate on the side of the property. The cottage was reasonably clean and reasonably equiped. A nice suprise to find milk, tea, coffee and biscuits left for us. There are no shops in Paul or Mousehole so Penzance is your nearest place to get provisions. But there are some lovely places to eat in Mousehole and Newlyn. Paul is easier to drive around while still being close to Mousehole then staying in Mousehole it self. Thank you, Kevin. We are glad that you enjoyed your stay at Scadden House. There is a small convenience store, Mousehole News and Stores, at the harbourside, open 9-5 Mon-Sun, that is very useful for everyday food essentials if you need to top up on supplies. Hope to see you again in lovely West Cornwall. Guest from Bristol stayed for 6 nights. Very lovely cottage, great location to travel south Cornwall. Being dog friendly was spot on although having a grass garden that the time of year we stayed isn't great as had to clean dogs paws constantly to avoid getting carpets dirty. Would suggest hard floors other than that, amazing & would recommend to everyone!!! Guest from Bargoed stayed for 7 nights. I loved the location but you need a car as we had as it is not close to shops. Not that you need them just food shops required! Guest from North Shields stayed for 7 nights. The location of this cottage is fantastic as it is just up the hill from Mousehole and within easy distance to Porthcurno/Minack Theatre. The cottage itself is a comfortable size for 5 people although the kitchen is quite small but very well equipped. The inside could do with being updated, a lot of very old furniture and decor. Could be kept with the in keeping of a traditional cottage but with a few more updated features. The main niggle we had on arrival was the strong smell of dog and quite a lot of dog hair on the sitting room carpet. The hoover definitely needs a deodoriser for a property that accepts dogs. Overall the cottage was clean and had lovely comfortable beds and we did enjoy our stay, even the church bells! Very peaceful location and a good base for exploring the great part of Cornwall. Guest from Roselle stayed for 7 nights. We rented Scadden house in mid June for one week. We arrived on Saturday afternoon,and the cottage was better than advertised,a gorgeous cottage in a beautiful villlage.Clean well taken care of and a great location to explore south and central cornwall. The village pub is 1 minute round the corner,and does great food,and has st austell beers. Mousehole is a 10 minute walk down the hill [30 mins back up]with some great shops,pubs and restaurants. We would definitely stay at this cottage again. Many thanks to Cornwall cottages for keeping everything simple and smooth. Andrew. Guest from Bath stayed for 4 nights. We had a pleasant stay at Scadden House, which was warm and cosy and ideal to enable us to walk down to see the lights by Mousehole harbour. The kitchen was well equipped,although narrow , but we didn't do much cooking as only on a short break. Local pub served good food. Difficult to park car up the drive as quite narrow but parked outside on the road so that was fine. Very well equipped kitchen. Great location near Mousehole. Very comfortable bed. The church bells ring all through the night but after the first night it didn't wake us up! Scaddon House provided us with an excellent base to explore the delights of Mousehole. It is ideally located for exploring the South of Cornwall and we made a few trips across to Sennon to surf as it was so accessible. Mousehole is a delightful little village with lots to offer, we especially enjoyed the crab feast night at Jessie's Dairy and the fabulous 2 Fore Street restaurant where we enjoyed brunch and evening meals. Scaddon is close to the coastal path and we enjoyed walking the dog over to Lamorna Cove, we also had a good jog out to Penzance and back where you can enjoy the beautiful alfresco pool. As mentioned in previous reviews Scaddon is at the top of a steep hill, however this didn't both us as its well lit at night, we also took a taxi back the odd time as it was only £4 from Mousehole village centre. A special mention must to go the owner of the property who couldn't have been more helpful on our stay at the cottage. Guest from Dorking stayed for 14 nights. Scaddon House is lovely and well equipped, the beds were really comfortable and there was plenty of space for us all apart from the galley style kitchen and this is my only gripe regarding the inside of the property. The location of the cupboards meant a narrow kitchen became even narrower with a dead end so sometimes there was grid lock - too many people and open cupboard doors etc! A problem for my very tall family was the end of the stair post poking through the ceiling (part of the kitchen is under the stairs if you follow me) and they brained themselves on it regularly - perhaps it could be cut off?! There is an art to getting in & out of the driveway if you have a big car - it is extremely narrow and despite our best efforts we still managed to trash one of the door mirrors which is an expensive mistake to make. Anyway, this is not meant to be an exhaustive list of complaints as we had a really fabulous, relaxing time here and it's in a great location for exploring this gorgeous part of Cornwall. We've just returned from a week in cottage, really enjoyed ourselves. It's a great base location, 10 mins walk to the harbour, next road to the Kings Arms. Just what we needed, off street car parking which is a bonus although care is needed. I'd highly recommend this cottage which would be ideal for upto 5 (plus a cot). Also recommend a trip up to the local football team Mousehole AFC which is 5-10 mins walk away as they make you feel really welcome and the football is a decent standard. Guest from Blewbury stayed for 7 nights. Cottage was exactly as described. Quiet location, well equipped, spacious and very clean. It's a roomy two bedroom cottage but one of the bedrooms has a double and a single bed - so fine if you have 3 kids. The kitchen is a galley style - not roomy if there are more than two of you in there - but not an issue if you're going to eat out most of the time. Garden is also small if you've got young kids or dogs and need some space for them to exercise. Paul is about a half a mile's walk from Mousehole (charming harbour village) and well positioned for exploring Lands End, St Michael's Mount and St Ives. Have to also say that the uncharacteristically superb weather made our stay really perfect! We spent four nights and found the location to be just right given that we toured the area quite a bit. The cottage is clean, quite comfortable for up to four ( we were two) and there are plenty of walks for the dog. The kitchen is narrow but if you're not planning fancy dinners, very adequate. The pub is a few yards away and Mousehole a little over half a mile . You can walk but the climb back can be daunting for some. Mousehole is charming and worth the visit, especially the view from the Old Coastguard restaurant( if you want something other than pub food). All in all glad we booked it and would again . Guest from Holmfirth stayed for 4 nights. Scadden House was comfortable warm and well appointed and we much enjoyed our stay. It was very clean and well equipped - we entertained family for Sunday lunch without problem. Nice property, nice location, close to Sennen cove and ideal for dog walking. Good sized rooms, lots of home comforts, the kitchen is a bit of a squeeze, but that's not really an issue. The property has an enclosed rear garden, this was ideal for the dogs. A really nice well maintained house with a small but adequate for your holiday garden right in the centre of the village just yards from a nice pub. The only criticism was the parking in the front garden is tiny and needs widening so that modern cars can get in easily - a pretty simple job. If the single story "annex" was turned in to a big kitchen that would turn it in to a not just good buit spectacular house. Guest from Mountain Ash stayed for 7 nights. We enjoyed a lovely, relaxing week at Scadden House. The cottage itself is very comfortable and well equipped - a real home from home. We enjoyed the walk into Mousehole from Paul up and down the hill as parking in Mousehole itself is not always easy. With 2 teenagers in tow we found plenty to keep them occupied - recommend body boarding at Sennen Cove, fishing trips out of Penzance plus visits to St Ives and Falmouth. Wifi at the cottage was great as they were able to keep in touch with the outside world! Mobile phone signal in the area was very intermittant. We would definitely recommend this part of Cornwall and look forward to returning. Scadden house is a good sized, well equipped holiday house. It has everything you would want in the (albeit very small narrow) kitchen, the beds and pillows are very comfortable and the garden is lovely. The areas for improvement are to ensure that the carpet downstairs is free from the hair of previous animal occupants, the description needs to be clearer about what walking distance to the beach actually entails and that the parking space is suitable for a small car only. Guest from Morden stayed for 7 nights. Lovely house in a lovely rural location. Booked it for a three-generation family holiday and everyone was more than happy. Would definitely book again and would certainly recommend it to others. Stayed in late November and the house was far from cold (which with a baby and older people had been a concern). Overall fantastic. The only thing to be aware of though is the drive way. Whilst it is amazing that a village property has one, it is quite a tight space bordered by a solid wall one side and we only had a small car (Ford Fiesta). Not a major issue. The passengers just needed to get out before the car was parked up. There were no surprises everything was as described and good. Looking at comments made by previous visitors I would say a medal is required if a full Christmas dinner was cooked as physical space is very limited in the kitchen. It is too narrow for two people to operate. I agree with comments about the drive being too narrow to park a medium car and also care is required when parking in the road as a country bus service passes the house so sufficient space must be left for them to get by. A good comfortable week. Lovely place to stay, everything provided that you could think of and more, they seem to have gone that extra mile. Excellent for visiting this part of Cornwall, the local pub around the corner is very convenient and Mousehole, Newlyn and Penzance within walking distance 3 mile radius. The only down side is that mobile phone reception is not good in the village and and the drive is very tight so we resorted to parking on the road. But overall very good. Guest from Sutton stayed for 7 nights. This year was our first dog holiday and I chose the cottage carefully. Scadden House is a beautiful and well equipped cottage. Weather wasn't always great but when the sun shone it made up for it. My husband, 11 year son and 18 month old cocker spaniel had a lovely time and felt very at home. We stayed at Scadden House with my parents and our dog and had a great stay with fantastic weather.The house was well equipped the only problem was the drive was very narrow and we had to park on the road.Great location for visiting the area and Trengwainton Gardens (NT) have the best cream teas we have had anywhere.Would visit cottage again . Guest from Obfelden stayed for 7 nights. we have enjoyed our stay very much! Well equipped house in a lovely surrounding. Nice walks to Mousehole and enjoyed two concerts at the nearby Pub. When we left if felt like leaving home. Would love to come back some time! It really was such a wonderful stay at Scadden house, we thought that it was generous to find a let that took two dogs and we all had a wonderful time. The house is in an amazing location and the house itself is really charming and simply decorated which makes it easy to maintain. The area is so wonderful we fell in love with it and are planning to spent much more time in this area of Cornwall because of our trip. Down the road in Newlyn is the local fish and chip shop Lewis' which offers gluten free batter! over the road from that is a really cool antiques/curios shop with a pretty nice, pretty zany owner. Penzanze is so close as well. The other thing would be the incredible local walks and the friendly local people. I also had a couple of questions which were answered for me really quickly with the contact details provide. Thanks again and we loved every second of it. We stayed at Scadden House with our dog. It is ideal for dogs with a lovely enclosed garden. It is in a great location within v. easy reach of lots of Cornwall's highlights. There's loads to see and visit- towns, villages, beaches gardens........ Unfortunately it was rather, cold, wet and blustery when we were there but the house was warm and cosy. The local pub around the corner was excellent and dog friendly. Guest from Blandford stayed for 7 nights. Guest from Lancs stayed for 10 nights. Stayed with friends from Spain in December and could not have been more warm and cosey , only thing that let it down were pans and bread board poor . Guest from Farnham Common stayed for 4 nights. We stayed 4 nights over October half term. The cottage is in a quiet small village with a super pub, the kings arms. Steep walk into mousehole which we didn't attempt with young children, otherwise it would have been a 5 minute walk. The cottage is very cosy and comfortable, everything you need. The driveway is very narrow and a tight squeeze for a car but others seem to park in the road. Great location within easy reach of st Ives, Penzance, lands end etc. Would stay here again, it's full of character and a lovely spot. Guest from Stansted stayed for 7 nights. Scadden House is a charming granite cottage in the village of Paul, just half a mile from Mousehole and the coast. When we booked, we were slightly concerned that there seemed to be no reviews to go by but we had no need to worry. The cottage is clean, warm, well-furnished and equipped and has everything you need for a self-catering holiday. The reason for the lack of reviews is that it has only recently been available as a holiday let. There is a comfortable sitting room, spacious dining room and kitchen downstairs with two large double bedrooms, one with an additional single bed and the other with a shower, plus a lovely shower room. The cottage is located right in the centre of Paul, just round the corner from the village pub which allows dogs in its bar when it's not hosting a funeral - there were three during the week we were there! In spite of it raining every day, we had a lovely stay and will certainly want to return to Scadden House in future. Guest from Bayswater stayed for 14 nights. Scadden House is a nice small cottage and is actually better than appears in the photo's. Furniture in the sitting room is new and the whole house had been re-painted. On arrival the house was very stuffy and it took time to unlock the windows some which were stuck. The equipment all worked well such as hot water, cooker, TV etc with the exception of the microwave which decided it was on strike. The beds were comfortable but I was glad that there was only 3 of us so we had a bed each as the doubles were small sized rather than king. The driveway was too small to park our car which had to sit on the road. No problem with that though. The church bells are not for the faint hearted and sunday morning was certainly a surprise. The location is great with a pub round the corner and a 15 minute walk down to Mousehole. Fields round the back to walk the dog were superb with a small footpath down the side of the pub to access these. We had a good time in Scadden House and the area.